I had dinner in this super nice, super tiny restaurant in Soho last night. They don’t take reservations but the wait is usually not that long (max of 30 minutes) They serve small sharing dishes like little hamburgers and stuffed olives. I really likes their courgette mini pizza. The waiters are very attentive and kind and the atmosphere of the place is great. It reminded me a little bit of New York (which is always good). 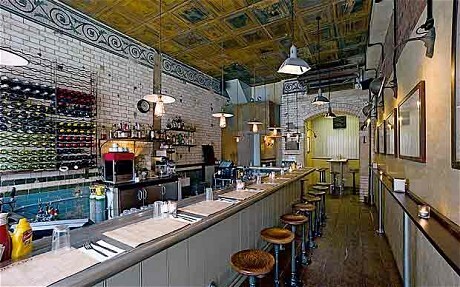 Also, if you like Polpo and Polpetto in Soho you will probably like this restaurant too (same owner).